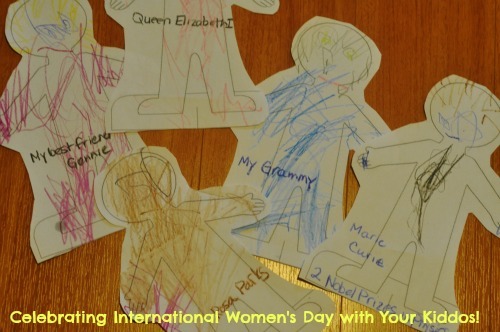 This entry was posted in Activism, Arts and Crafts, Feminism, Homeschooling, Natural Learning and tagged International Women's Day 2013, IWD with Kids. Bookmark the permalink. Each year on March 8, millions of people around the world come together to celebrate and honour the accomplishments of women. Small or large, the contributions of women deserve a party! What better way to party than with your kids? There are many fun and authentic ways to celebrate International Women’s Day with your kiddos — and they don’t all include glitter. If your kids are of the preschool persuasion, you might want to print some outlines of women, select a couple of important women from history, and make some quick popsicle-stick puppets. This is a cheap, interactive, and fun way to talk about some important characters in women’s history. How about Frida Kahlo, Laura Secord, or Cleopatra? We did it last year and had a great time with our puppets well into the middle of the month. If your kiddos are a bit older and you are interested in talking about some of the issues that impact women around the world, check out the site WeAreEQUALS.org and download their “Little Book of Big Debate Starters”. It will empower you and your older kids with some serious conversation. 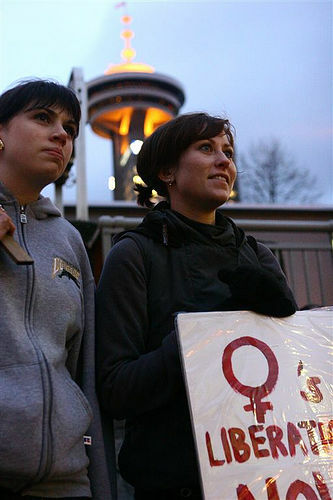 Check out this International Women’s Day website to see if there are any events or activities going on in your community. Many IWD events are kid-friendly with the span of ages taken into account when planning the day! With the help of library books and the internet, help your kids pick their favourite woman from history and have them design a shirt that says “ask me anything about … amelia earhart”. Using easy-to-remember facts, help your kiddo feel confident about the accomplishment and life history of the historical figure while you both work on designing the shirt. Now head outside and let people ask lots of questions! Is there a special woman in your child’s life? Someone who plays a quiet role in their day-to-day activities? A librarian, a bus driver, a grocery store clerk would all be great candidates. Chat with your kid about the service that this woman provides and think of a way to say thank you in honour of International Women’s Day — driving home the idea that a woman’s actions have an impact no matter how big and no matter how small. A handmade card, some homemade cookies, or even just a big hug would be a great way to show gratitude! Plan your own IWD celebration or event! If you are interested in supporting the cause to eradicate some of the harshest conditions that impact women around the world, then “get together” with Oxfam! This great initiative is a launching pad for creative and connected women (and their kiddos) to raise funds and awareness about some of the issues that impact women around the world. On March 8, try to spend the day acknowledging and honouring the women in your life and around the world. Vocalize your thankfulness and appreciation for these women, and your children will internalize this and think more deeply about the women in their life — like you! Want to follow IWD events on Twitter? Check out this Twitter feed. And here is the IWD Facebook page!